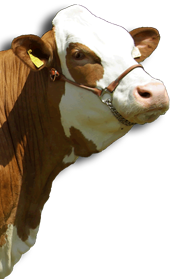 This polled bull (A1A2) of the Metz line offers up an easy calving great bull for use in heifers. His TMI is 130 and the bull “Roundup” runs in his family blood line. “Roundup” daughters have proven as excellent truly dual purpose animals much like can be expected from this sire. 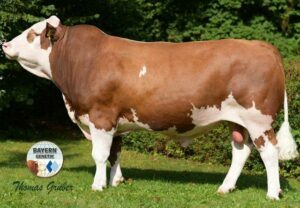 This sire is a must have form what CEO Dr. Thomas Grupp of Bayerngenetik indicates!